Our May coffee morning included a talk from Joao Roe, head of Sensory Support Services. This was an informal talk focusing on the importance of social interaction and attachment from the very beginning to the later years. This is a brief summary of main issues discussed. We know that social emotional development plays an important role in children’s lives. We also know that there is a dynamic interaction between social emotional development and academic achievement. Children need healthy social emotional development to be prepared and ready to learn. For deaf children language development is crucial in this area as it facilitates social interaction and equally social interaction promotes language development. Some people say that if more cognitive effort is used for listening, then social skills may be compromised. Children who are socially competent have learnt to read and interpret social situations. They also learnt to adapt their social behaviour to the social situation they are in. So social understanding is very important. One way children learn how to respond in a situation is by social referencing. This is when a child looks up to a more experienced person for confirmation about how to respond, what to think or feel about a situation, person or object. Social referencing also helps children learn to self-regulate – this is about when children learn to manage their feelings / behaviours, for example, stop crying when they fell (they learn to tell themselves something like: I fell, it was a shock but I am ok, there is no need to cry…). However, the presence of sensory impairment (vision, hearing or multi sensory impairment) has an effect on how adults interact with children and it can disrupt the natural interactions adults establish with children. For example, adults’ language tends to focus more in naming things and providing labels rather than focus on thoughts and emotions. So often, children with sensory impairments get fewer opportunities to access high level of emotional conversations that promote social understanding. It is important to remember that every child, every family and every situation is different. But overall the issue of developing social skills and interacting with others is an important issue for deaf children. We also looked at how the child’s social world expands when children start attending early years’ settings and schools. We discussed how important play is in providing opportunities to learn about what other people wish and think. 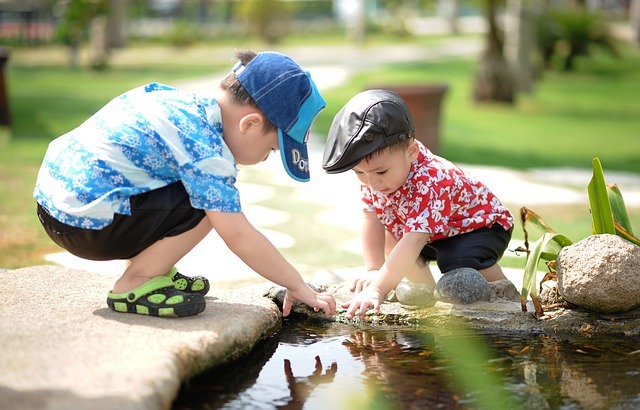 Having positive experiences of play motivates children to interact with others and practise skills they need to develop their social understanding. It also gives opportunities to negotiate and use reasoning to influence what happens in the play activity. Some parents mentioned that their children tend to control the situation. This is quite common when a child is not too sure of how to negotiate with others but wants to participate in the activity. Helping children understand the mind of others is crucial. This requires us adults to share our feelings thoughts and intentions with children. We discussed the importance of conflict and how often adults intervene too early. Overall children present a lot of conflict situations with their best friends and they use reasoning to solve these. This is a very important skill to develop and children can be helped to understand what is causing the conflict and asked to think about potential solutions for themselves. Joining in a group was another issue that we discussed. Many children find it hard to join in a group, they may try to control what is going on or stay in the periphery observing but not feeling confident to join in. Children who are not so successful joining in a group, tend to ask direct questions or try to control what happens in the group. Children who are successful, first observe the group and check what the group is interested in. They then identify their own interests as similar to those of the group and follow the rules of the group. This means that children need to be able to ascertain what the group is talking about, how members of the group are behaving and what they are interested in. With older children, particularly during the teenage years, children can be very self-conscious, they want to fit in and avoid sticking out. Issues such as what you wear, how you talk, behave become very important even if for adults seem minor issues. Having access to the peer culture, understanding what other people of the same age are interested in whether it is music, computer games, TV programmes or sports can be very important in providing some common interests to promote social interaction. Parents also shared some of their own experiences. Some mentioned feelings of guilt, feeling under pressure to do the best for their child, having to attend lots of medical appointments which take away time to interact naturally with your child and cause anxiety. Some parents mentioned that they did not know other parents were facing the same issues around their child’s social interaction with others. It is important to remember that learning to interact and getting along with others is a skill all children are learning and can find quite hard (and often continues through life). The impact of a sensory impairment can bring additional challenges but sharing these concerns with others and understanding that you are not alone can be helpful.